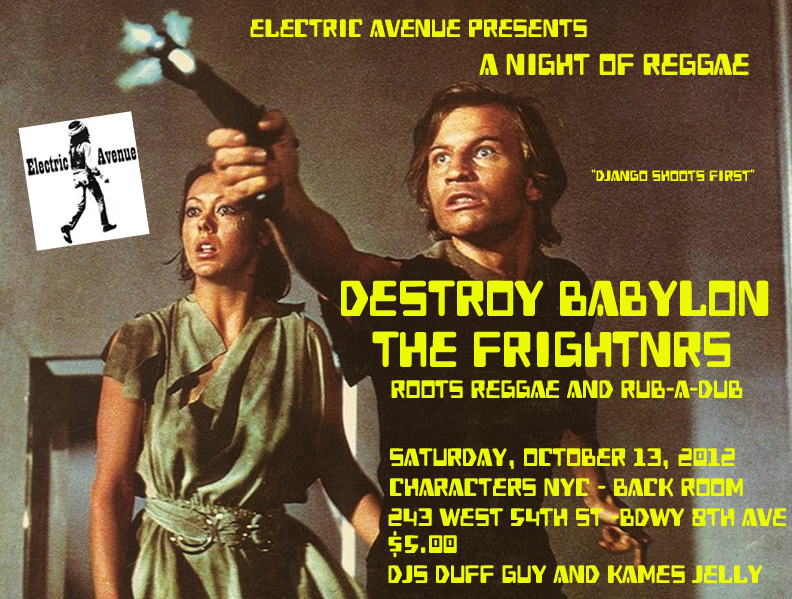 Next Electric Avenue Show: Destroy Babylon and The Frightnrs on 10/13/12! If you don't know about Destroy Babylon, you should check out The Duff Guide to Ska review of their latest album, Long Live the Vortex, here. The Duff Guide to Ska review of The Frightnrs' EP can be read here. Hope to see you at this show! If you're unfamiliar with Gaz, make sure to check out this post I wrote a couple of years ago. 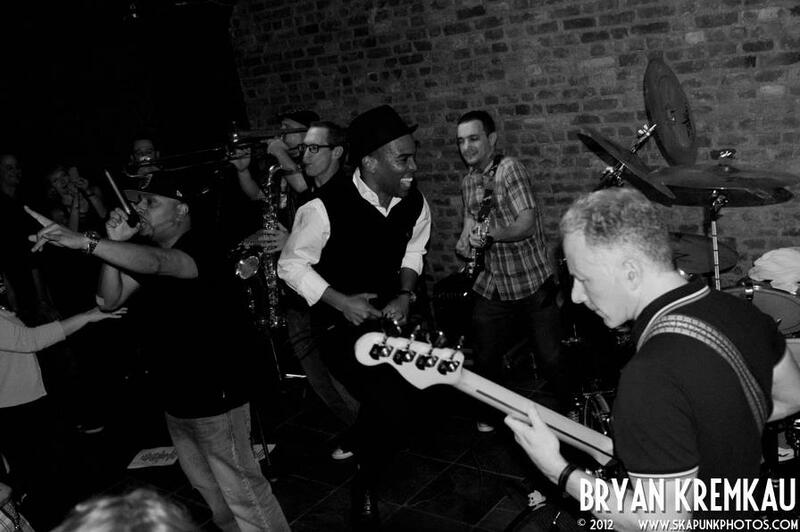 In NYC ska news, we're psyched to let you know that Bigger Thomas are prepping a set of new songs for an EP to be released digitally (and possibly on vinyl) early next year. 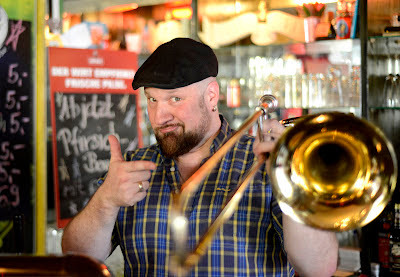 Basic tracks will be recorded in New Jersey and then Bigger Thomas will work with Agent Jay of The Slackers on vocals, horns, and all other overdubs at his studio in Brooklyn. 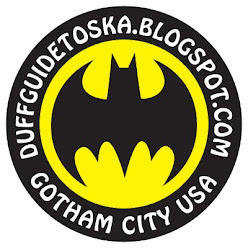 The Duff Guide to Ska has been lucky enough to hear rough demos of two of these new tracks Bigger Thomas tracks--"Super Moon" and "Weird Lenses"--and is stoked to report that they're fantastic and will be sure to please fans of the band's super-charged, 2 Tone-influenced NYC ska sound. In related news, an instrumental version of "Super Moon" will be featured on the soundtrack of the upcoming City Gardens documentary Riot On The Dancefloor (The Story of Randy Now and City Gardens), which includes interviews with Roger Apollon, Jr. and Marc Wasserman (since Bigger Thomas played this Trenton, NJ venue back in the late 80s/early 90s, along with other ska bands like The Toasters and The NY Citizens). By popular demand, New York’s long-standing Reggae, Rocksteady and Ska party (active in various forms since 1997) is taking it on the road for the first time. The “Version City” tour is a compact six-piece revue in three acts featuring diverse and fresh blends of Jamaican roots music--reggae, rocksteady, and ska--peppered with American rhythm & blues and soul. The show will open with a set from Matt MacLeod, soulful vocalist and keyboardist of The Heavy Beat, with backing from The Snails. Matt will then switch to bass for The Snails’ own set, fronted by the dynamic singer/guitarist Todd Fausnacht. For the finale, King Django will take the helm and lead the troop through a wide selection of material from his long and diverse career. 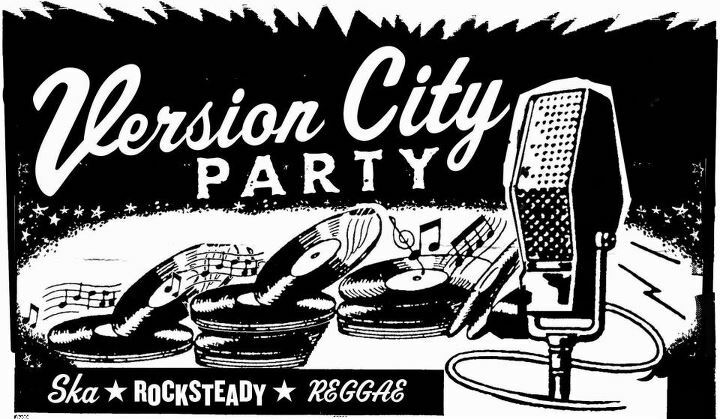 For a preview of each band's music, check out the Version City Party Tour SoundCloud page. Toasters Sign with Phoenix City Records and are Set to Play 2013 London International Ska Festival! The latest band to sign to the Phoenix City/Cherry Red label is America's longest running and arguably most influential ska band, The Toasters. Formed in 1981 on Lower East Side of Manhattan, their fusion of 2 Tone and New York punk and rock ignited the US music scene, resonated around the world and is now regarded as the precusor to the Third Wave of Ska. Over the last three decades, The Toasters have played in over 50 countries, from Siberia to Istanbul, Peking to Rio and back, laying down the tracks for others to follow. They have sold over a million copies of their 12 albums, been produced and mentored by Joe Jackson, and are cited as one of CBGBs' 20 core bands alongside their with personal heroes The Ramones. 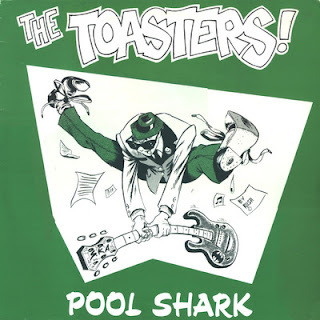 The Toasters continue to celebrate their 30th year with tours of Indonesia, China, Australia, USA and will return to the UK in March 2013 to perform at the London International Ska Festival. To join in the celebrations, Phoenix City/Cherry Redwill be issuing two Toasters albums. The first 30th Anniversary is superb 20 song collection charting their career so far and the second is the reissue of their classic debut album Pool Shark with 8 bonus tracks. Both albums are out on 22nd October and are available exclusively to preorder now at www.londoninternationalskafestival.co.uk/shop. Dr. Ring Ding Ska-Vaganza's Piping Hot will be released this November. The CD will be out on Pork Pie Records, the vinyl on Buenritmo, and Jump Up will release two vinyl singles with exclusive tracks from the same sessions. Check out our recent interview with Dr. Ring Ding here. Preview the New King Hammond Single "Rude Boy Rock"
"The disc is a white label, 100 only that will be individually signed to the buyer. It will also come with a "Rude Boy Rock" badge.The flip side is a song by Sammy Buzz, "I Got it on Vinyl." N.1. Records is now concentrating on just vinyl releases now mainly due to the increase of people downloading or 'burning' discs. Being of an age, I'm old school. I like my vinyl and in the coming months will be releasing more white label singles. I know in some ways it's cutting my own throat a bit, but for a while King Hammond and CDs are having a trial separation, but you can still get the four albums I have released in the last two years from www.king hammond.co.uk. Anyone who is interested in picking up one of these singles should get in touch with King Hammond via his Facebook page. Regular readers of The Duff Guide to Ska know that we are very much anti-music file sharing, so we can't blame KH for going the analog route for now. Taking their name from a G.G. All Stars skinhead reggae cut, SoCal's 2000 Tons of TNT have dropped an exceedingly smart and powerful debut--Reggae Mysteria--that mixes the soulful/funky/latin dirty reggae of The Beatdown, The Caroloregians, and The Bullets with the revved up, rough-around-the-edges garage rock of old skool bands like The Fleshtones or The Lyres. In keeping with the spirit and form of late 60s JA and UK skinhead reggae, Reggae Mysteria contains a healthy serving of pack-the-dancefloor instrumental tracks (see "Reggae Mysteria," "Cougar Communion," or the incredible "Theme for Ambu"--someday, I'd like a tune this good written about me! ), moodier set pieces ("Tiger Uppercut," "Electric Pyramid," and "Rabo de Toro" ["Oxtail Stew"]), and a series of fantastic vocal cuts that are more about evoking emotional states of mind than conveying linear stories or political points of view. "I'm Feeling Lonely" relates how people can haunt you long after they've withdrawn their love and presence from your life: "I never thought I'd know this feeling so well/Like an old friend/it listens to the stories I tell/I know you're long gone baby/I'm still under your spell..." This isn't a self-pitying song--more like the protagonist is stunned to find himself at this odd place in life (even though countless people in the past, present, and future have been/are/will be there) and even more surprised to still be wanting someone who outright abandoned them. But sometimes love is just like that--a desire/fixation on what you just can't have. The singer in "Cleansing Sound" believes in the power of redemption through reggae and is doing his best to spread the good word like the musical equivalent of an Elmer Gantry-like, tent-revival evangelist minister: "From Phoenix down to New Orleans/Wall Street up to Aberdeen/This sound is traveling with the wind/It's coming round to cleanse your sins/It's alright now baby, just let it flow/Some people think they speak the truth/Blood and bone dagger and tooth/But I see them through their cheap facade/I'm gonna knock 'em dead like it's my job." This is performance as baptismal ritual; music as holy water; and musician as preacher traveling the land and fighting the forces of darkness, while enlightening the people and revealing the truth. 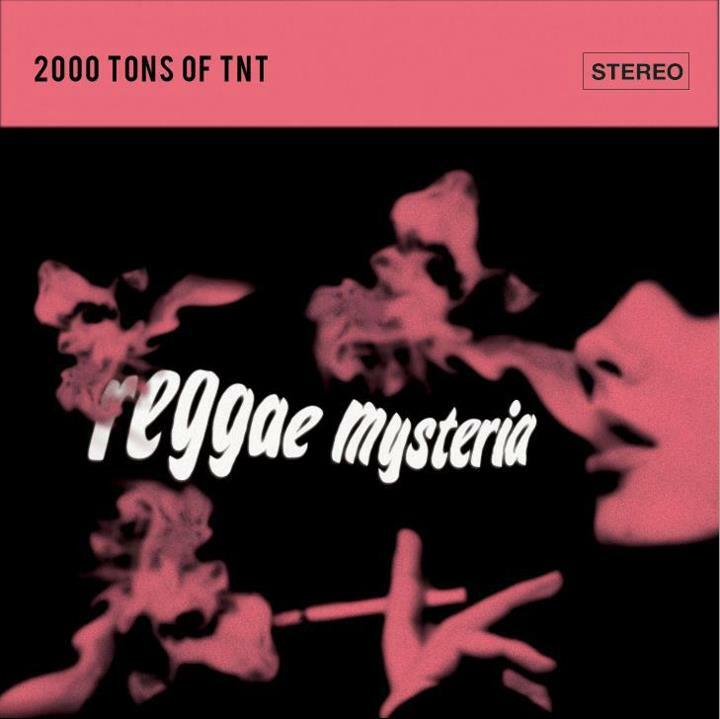 You may not be familiar with the band, but 2000 Tons of TNT's Reggae Mysteria is an album all fans of ska and reggae should get to know--and will definitely come to treasure. Without a doubt, this one is marked for the DGTS "best of 2012 releases" category! 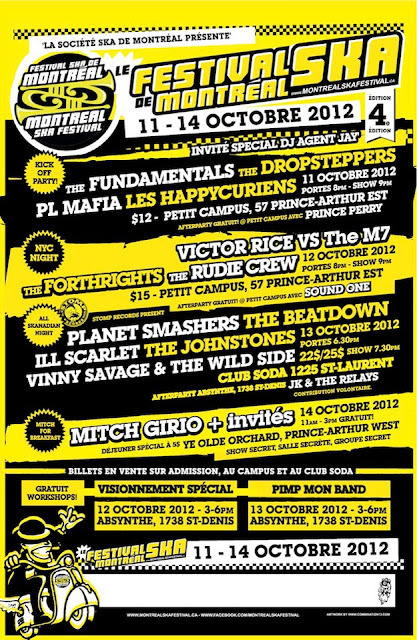 2012 Montreal Ska Festival Boasts NYC Night with Victor Rice, The Forthrights, and The Rudie Crew!! God, if I had a less complicated, responsibility-filled life, I would point the family station wagon due North and head straight up the NY State Thruway until I hit the Canadian border and beyond in order to experience the 2012 Montreal Ska Festival, which takes place between October 11th and 14th (see image at right for all of the glorious details). Of particular note, this year there is a NYC night (!) featuring some of the finest bands Gotham has to offer: Victor Rice (who actually may be more Brazilian right now that New Yorker! 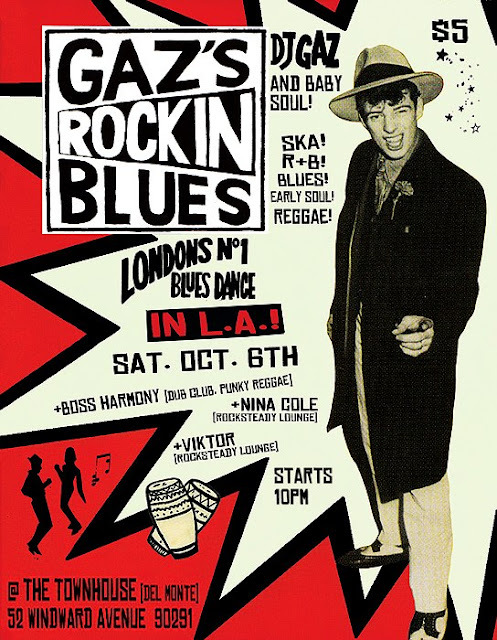 ), The Forthrights, and The Rudie Crew (plus Agent Jay of The Slackers is DJing each night of the festival). Canadian acts that I would love to catch include Prince Perry, The Beatdown, The Planet Smashers, and Mitch Girio (currently of Prince Perry and formerly of the late and very great King Apparatus). If any of these bands are thinking about coming down to the NYC, I could perhaps hook them up with a gig at a certain monthly ska night called Electric Avenue (...just sayin'!). For some background on the festival (which is organized by a non-profit group staffed by volunteers), check out this interview I did last year with one of the festival's co-founders, Valerie Desnoyers, as well as festival volunteer/performer/booster, Lorraine Muller (of The Fabulous Lolo, Lo and the Magnetics, and The Kingpins). 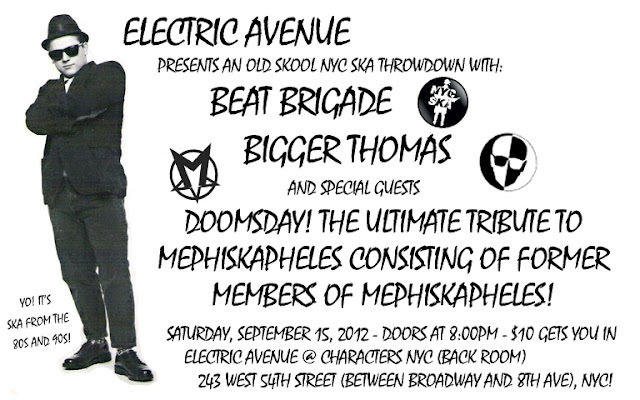 September Electric Avenue Show w/Beat Brigade, Bigger Thomas, and Doomsday!